Unplug with your family at our nature retreat located in the beautiful Poconos Mountains. Mountain Laurel Resort is four-season resort perfect for escaping the chaos and breathing in the fresh mountain air while skiing down the slopes at nearby Jack Frost Resort . Relax and soak away the stress with our indoor pool and saunas. 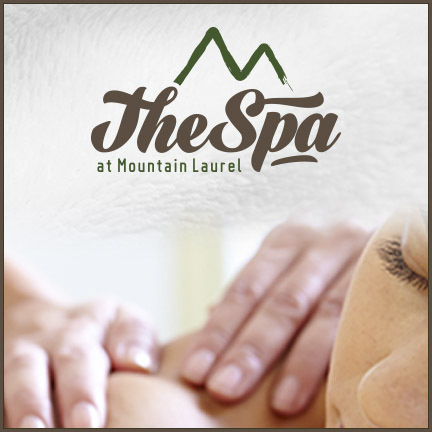 Treat yourself to a massage, wrap, scrub, or hydrotherapy soak at The Spa at Mountain Laurel. The serene Mountain Laurel Resort is surrounded by wooded area. Bring the family to enjoy our competitively priced accommodations and amenities, including our indoor & outdoor pools, miniature golf course, archery, outdoor tennis courts, arcade, billiards and ping pong, or our weekly activity schedule. 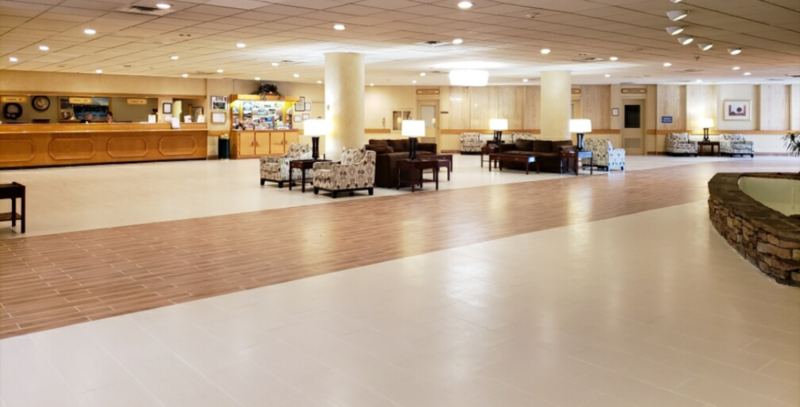 Our convenient location to the Pennsylvania Turnpike and I-80 make us a convenient retreat for business meetings and family reunions. Looking for a corporate room rate? Call (570) 443-8411 for more information. Submerse yourself in nature and all its offerings. Get active with our hiking trail, fitness center, horseback riding, and indoor and outdoor pools. Relax at The Spa at Mountain Laurel, have a drink at our Mountain View Bar, or enjoy a delicious brunch at our Twelve21 Restaurant. Experience nature at Mountain Laurel Resort. Twelve21 is a hidden gem in the Poconos Mountains located inside Mountain Laurel Resort. Stop in for dinner or a delicious Sunday Brunch! Unwind after work by sipping cocktails or drinking a beer at the Mountain View Bar. Saddle up for scenic guided trail rides. Our on-site horse stables offer horse and pony rides with group trail ride or an hour long private session. The slow pace is perfect for beginners! We also offer Carriage Rides for your special day! For additonal information contact Scott at twinbldr@ptd.net or call 570-656-0117. Get pampered at Mountain Laurel's on-site salon and spa. Offering an array of services, you'll feel relaxed in no time! Relax and rejuvenate with our hydrotherapy soaks, massages, yoga classes, wraps, and scrubs or pamper yourself with our manicures and pedicures. Call (570) 443-9772 to make your appointment.